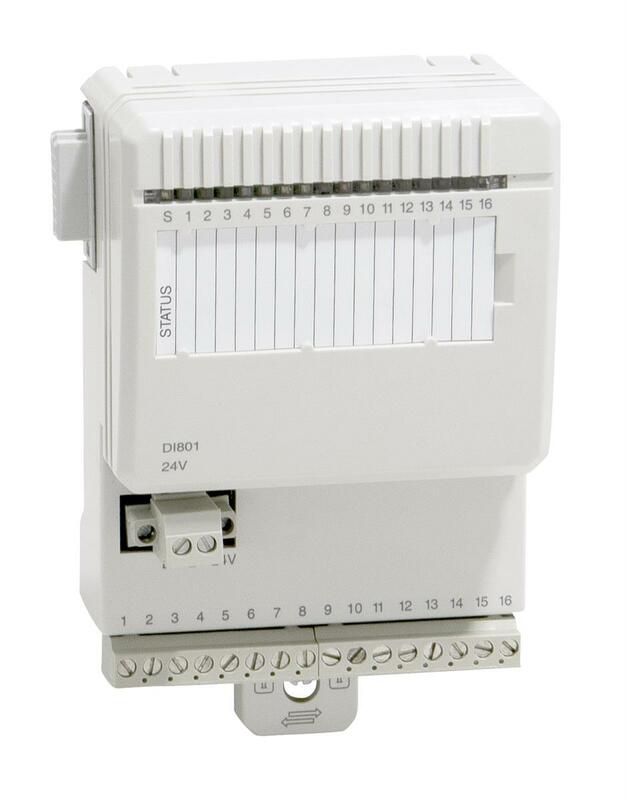 The DI801 is a 16 channel 24 V digital input module for the S800 I/O. This module has 16 digital inputs. The input voltage range is 18 to 30 volt d.c. and the input current is 6 mA at 24 V. The inputs are in one isolated group with sixteen channels and channel number sixteen can be used for voltage supervision input in the group. Every input channel consists of current limiting components, EMC protection components, input state indication LED and optical isolation barrier.